Dinner for two can be hard to accomplish after cooking for a growing family, but it can be done. 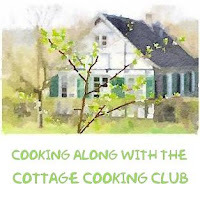 There are plenty of websites and cookbooks available for recipes and inspiration. Here are a few tips that I have learned; bulk bins are a great way to pick up just what the amount of grains, flour, seeds, nuts and granola that you may need. Meat can be purchased in smaller amounts from the market butcher and freezer bags will be your best friend. Take this eggplant dish for example, my first inclination was to pick up at least two when I only needed to purchase one (they were exceptionally large). I’m constantly having to retrain myself, sometimes I’m successful, sometimes not. In this recipe the eggplant is roasted in the oven then stacked into stacks starting with the largest pieces on the bottom to the smallest on the top. Parmesan, mozzarella cheese and tomato sauce and placed in between each layer. Cut eggplant into ½ inch slices. Salt both sides and let sit on a wire rack for 1 hour. This will help draw out the liquid and bitter flavor. Wipe salt off and pat dry with a paper towel. Roast eggplant for 20 to 25 minutes until lightly browned. Remove from oven. Spread a ladle of tomato sauce around in the bottom of baking dish. Select the two largest slices and place them side by side. Layer with mozzarella, Parmesan and marinara sauce. Take the next two largest slices and do the same until you have a stack of five layers. Finish with another layer of marinara sauce and cheese. Bake in the oven for 25 minutes, until cheese is golden and melted. Serve with a small salad or some roasted greens. Enjoy! Love Eggplant Parmigiana, one of my all time favorites and this one sounds wonderful! Hi Chris, wow six kids, that is something. I can see why cooking for a few would be tough. take care. We like to cook extras so there are leftovers but with something like eggplant it may be best eaten when cooked. 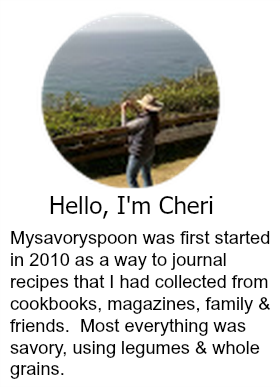 Love this simple but tasty recipe - thanks so much Cheri! Hi Tricia, haha, we are all so different, love it. You are right though probably some meals will not hold up as well as others. Hi Tandy, that certainly would make shopping more convenient. Looks like your site is up and running now. Have a great week-end. Hi Dena, it is a struggle that is for sure, seems like I waste so much food. Take care! This is one of our favourite meals, as it's just so comforting. Thanks Dannii, one of our's too. This looks lovely! Scaling down recipes can be hard, but this is a good one. Thanks Gaye, hope you are having a great week-end. Love eggplant parmigiana! A great recipe with just a few ingredients and big flavour. You are so right, thank you Angie! I am forever catching myself buying more than we need for two people! I lose control when vegetables look perfect. I love eggplant parm, and this baked version sounds delicious. Hi Lisa, haha, I lose control too, know exactly what you mean. I have always wanted to try a version like this - baked and not fried. Thanks for making this easy for me! Hi David, I liked this just as much, maybe even better. Hope you are having a wonderful week-end. I thought it was almost cold out this morning. The kids will be with Grandma and Grandpa for a couple of days and this sounds like the perfect romantic meal for two. Baked is even better! One of my favorite Italian dishes and yet I haven't made it since we've moved to Florida. I'm going to have to make this soon. Hi Karen, i don't make this dish very often myself and it is one of ours as well. Take care! I LOVE eggplant! This looks so delicious. It's pouring rain here so this would be just the dish to make tonight! Thanks Julie, oh I love it when it rains, enjoy. Hi Marcelle, hope you get the chance to try eggplant baked, it really is delicious. Eggplant parmigiana sounds so good. I'm currently retraining myself to cook for two, too! Hi Beth, it's not as easy as it sounds. We love eggplant parmigiana too! I try to make a big recipe when we have the whole family over. Then, my hubby and I have left-overs for the next meal :) Great, easy recipe, Cheri! Thanks Susan, we enjoyed it, that's a great idea to make a big recipe when company is over with just a little left for yourselves. Thanks Monica, I was not a big eggplant eater when I was growing up either, now I love it. it's so hard to cook for two! i love this sort of dish though--it's the only way i'll eat eggplant! Thanks Grace, it is a great way to enjoy eggplant. One of my all time favorites! Love, love eggplant parm, and it's always my go to dish at Italian restaurants because I'm not a fan of meat dishes there. It's also the only eggplant dish my children will eat. I still have that problem of shopping for more than I need. On a regular basis I cook for 20-40 people (my job) but then to come home and cook for 6, I make way too much. It seems like my kids eat less and less everyday. I can't eat endless leftovers either! Hi Nazneen, wow! 20 to 40 that's quite a lot. I can see why you make to much. Now I am wondering why I have such a problem. Haha!